When opposites attract, love blooms in unexpected places.Buttoned-up botanist Stefan Albemarle has felt like an outsider his whole life. As a result, he mostly keeps to himself—makes it easier not to notice that no matter how he tries, people think he’s a know-it-all and a snob. Freewheeling urban gardener Milo Rios has worked hard to get where he is, and he’s passionate about his job at the Brooklyn Botanic Garden. 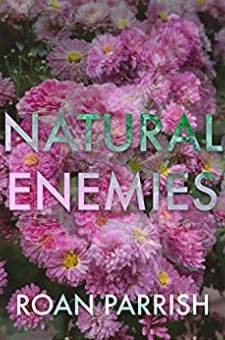 He can get along with almost anyone, but no one has ever made him care enough to stick around.When Stefan and Milo meet on Milo’s tour of the Botanic Garden, it’s hatred at first clash. But hatred quickly turns to lust as Milo shows Stefan how exquisite it can feel to lose the control he’s clung to for so long. As Stefan’s mask begins to slip, Milo sees a deep vulnerability in the prim academic. Once he’s experienced Milo’s world, Stefan can admit that he wants more from life than professional success. If they can work together, Stefan and Milo just might be able to cultivate the future they both yearn for. 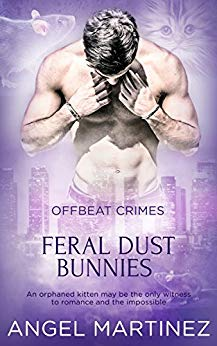 FROM POPULAR GAY ROMANCE AUTHOR ANGEL MARTINEZBook four in the Offbeat Crimes seriesAn orphaned kitten may be the only witness to romance and the impossible.Officer Alex Wolf responds to a lot of ‘paranormal’ calls that aren’t. Exotic pet birds aren’t monsters and unusual dog breeds aren’t aliens. It’s a good thing he likes the Animal Control officers, but he both yearns for and dreads those calls where he runs into ACO Jason Shen. Jason’s scent is so delicious that Wolf has a difficult time humaning around him.Animal Control calls take a disturbing turn, though, when Wolf and his lizard-man partner, Krisk, discover the impossibly mummified bodies of rats and an unfortunate mother cat. 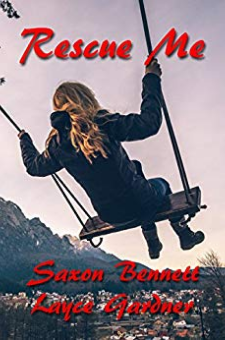 The rescue of the cat’s sole surviving kitten not only gives Wolf more time with Jason, which is both perplexing and wonderful, but also leads to dangerous discoveries. Something inconceivable stalks the city and its officers of the law. Wolf has to figure out what it is before it can attack and drain the life from the people and the kitten he loves. Lady Georgiana Rannoch knows nothing is simple when you’re thirty-fifth in line for the British crown, but her upcoming marriage proves to be the ultimate complication in the tenth mystery in the New York Times bestselling Royal Spyness series.As Lady Georgiana's beloved Darcy drives her out of London, she soon discovers that he isn’t planning to introduce her to the pleasures of sinning in secret—as she had hoped—but to make her his wife! Of course, she'll need special permission from the king to marry a Roman Catholic. Though he will inherit a title, Darcy is as broke as Georgie. Even his family’s Irish castle has been sold to a rich American who now employs his father. Nothing will deter them from their mission—except perhaps the news that Georgie's future father-in-law has just been arrested for murdering the rich American. 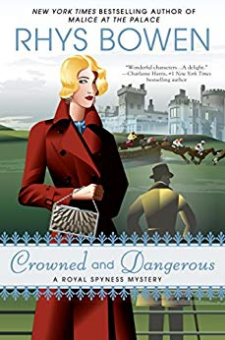 With the elopement postponed, they head for Ireland, where the suspect insists he’s innocent, and it’s up to them to prove it—for better or worse. An aristocrat who craves a firm hand in the bedroom. A commoner who knows how to lend it. 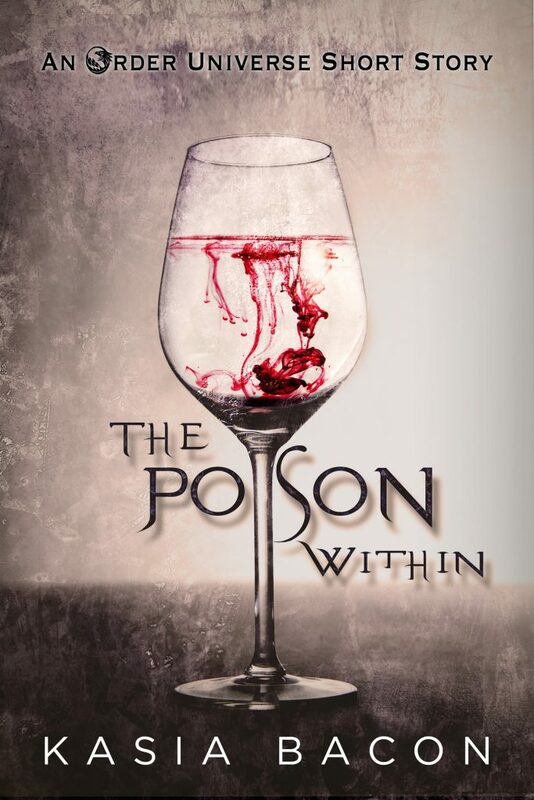 The Poison Within is a fantasy romance featuring LGBT characters. Lucy Marshall thought she had it all—a successful career, a gorgeous girlfriend, and a well-organized life—until she didn’t. Her girlfriend leaves her for a yoga instructor, her boss fires her, and she wants nothing more than to crawl under the covers and stay there. But her best friend, Harriet, won’t allow it. Harriet drags her to the wilderness of Oregon to meet the women of Sugar Pines. What she thinks is a relaxing retreat actually turns out to be much, much more. Lucy discovers the importance of friendship, sisterhood and, ultimately, love.